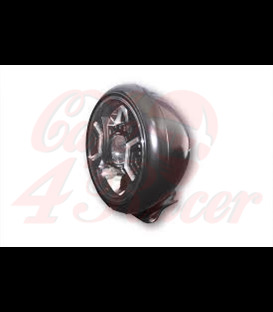 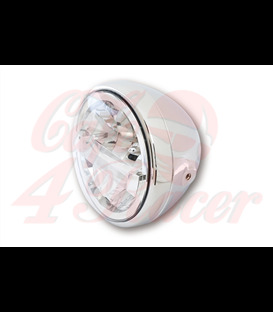 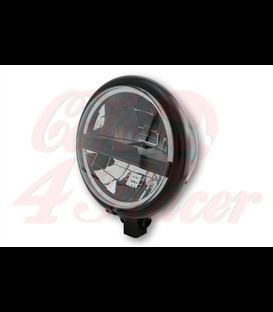 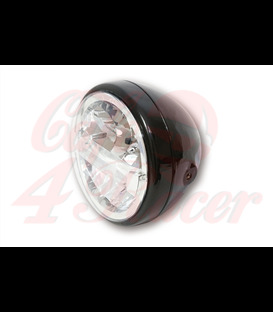 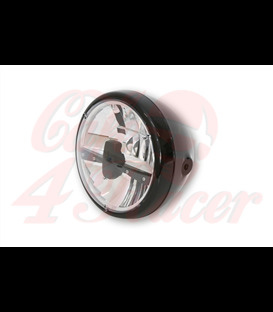 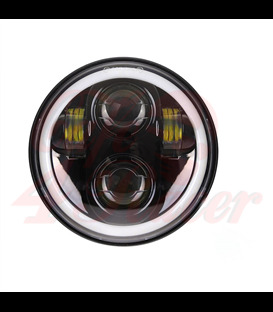 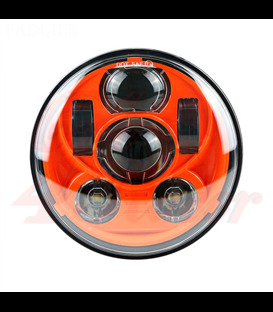 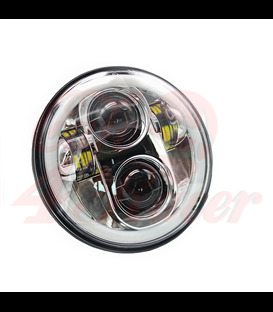 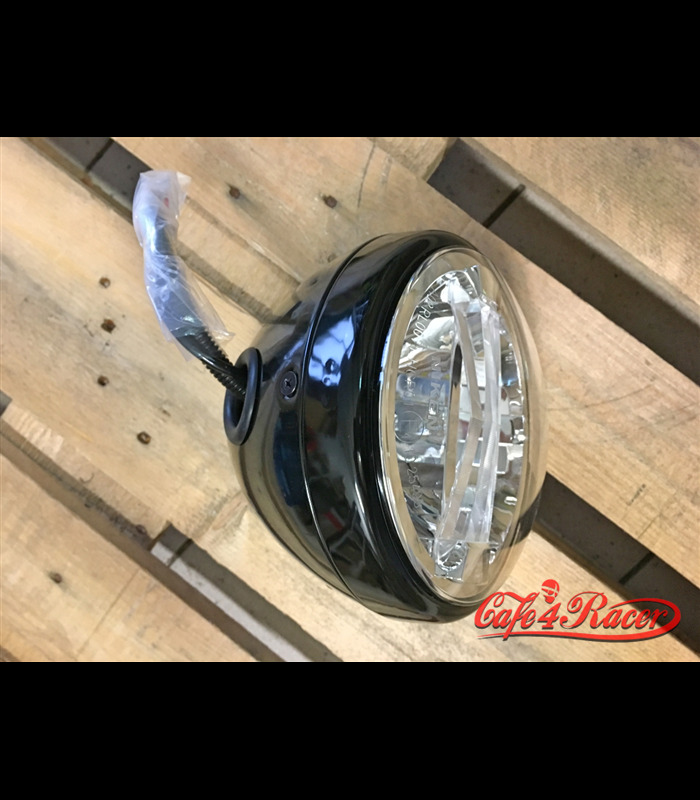 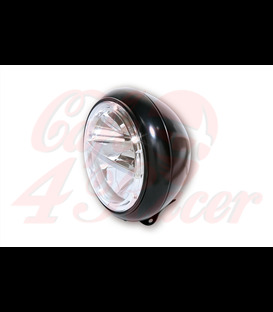 Puristic-shaped headlight comes in a dull black metal housing for side mount. 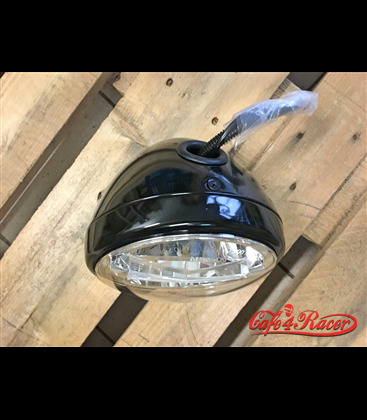 This plain design is perfect matching to Classic Bikes, Roadsters and Custom Bikes. 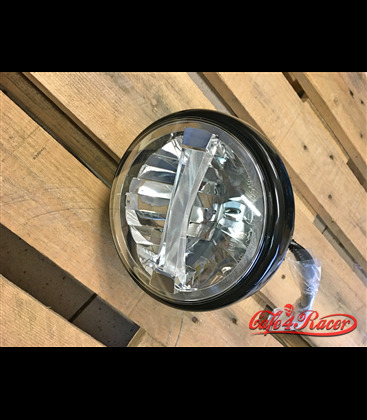 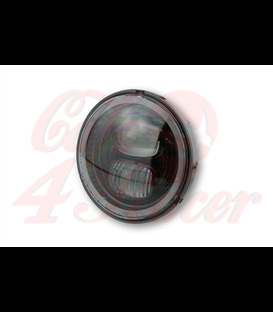 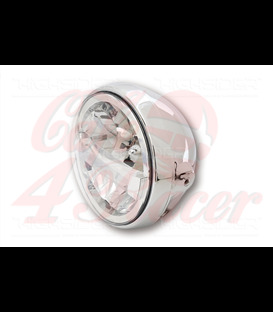 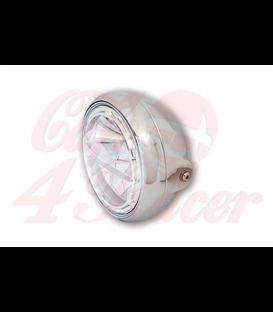 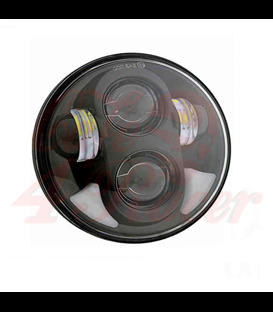 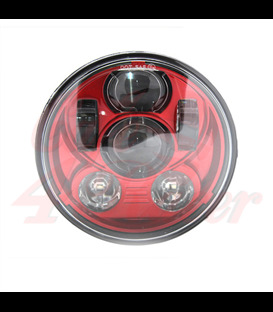 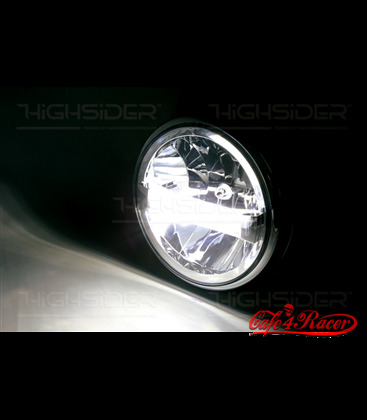 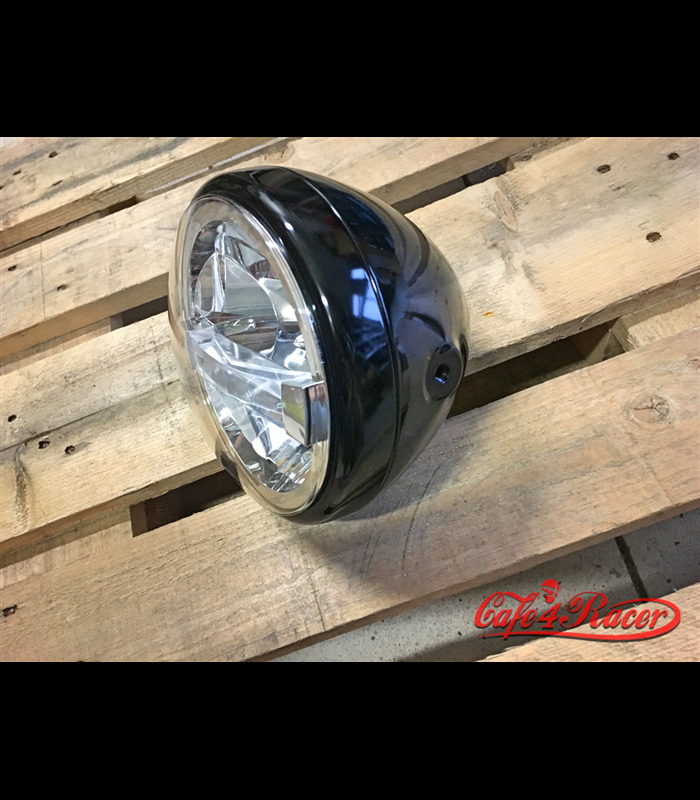 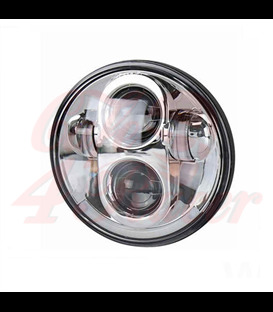 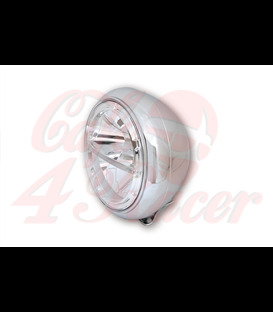 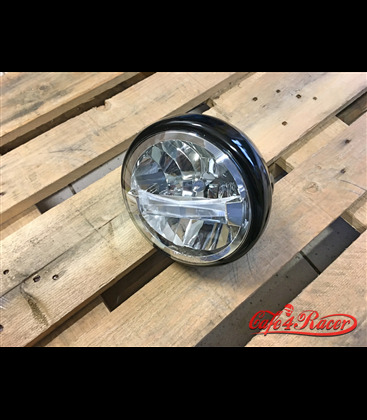 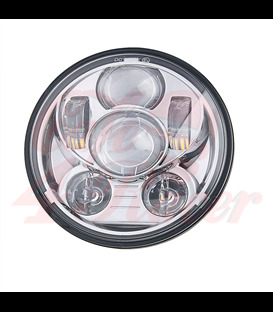 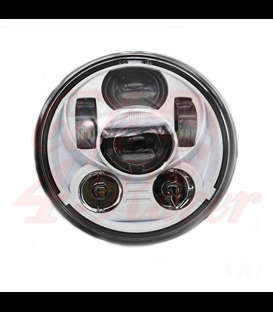 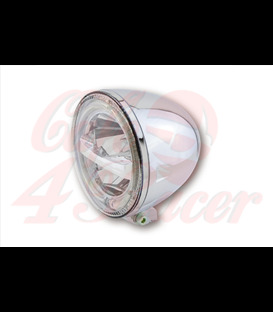 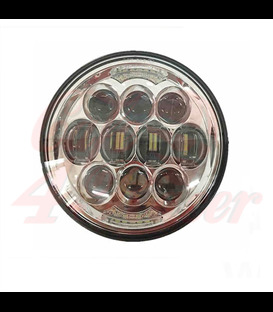 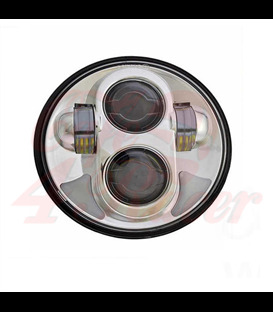 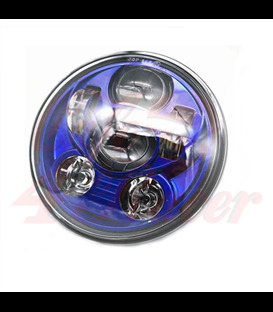 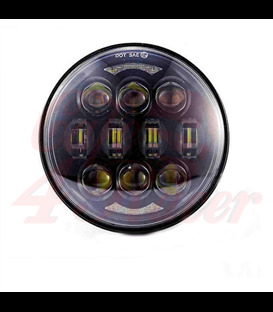 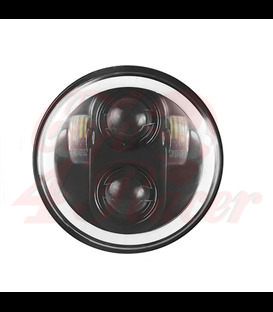 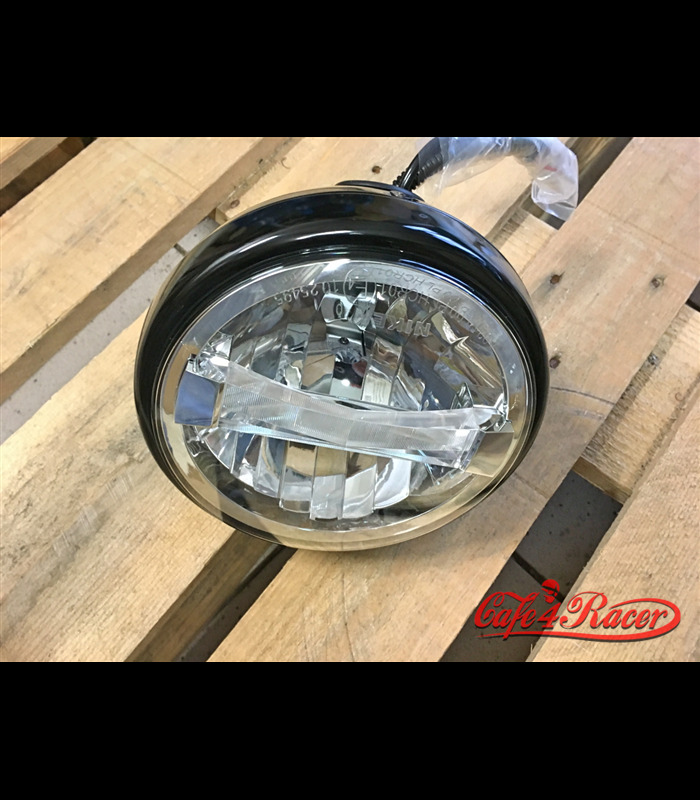 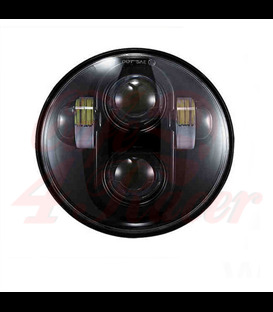 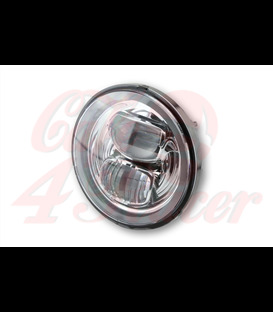 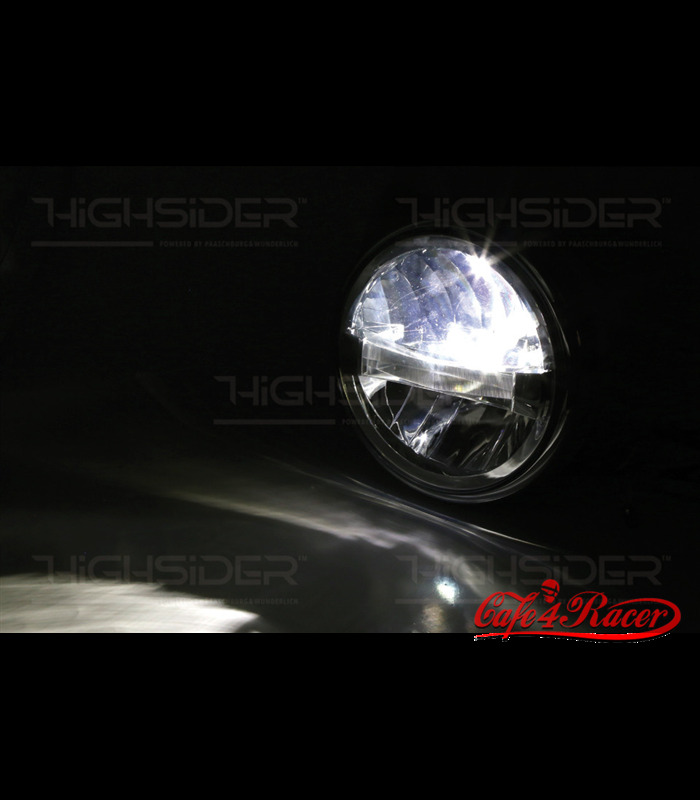 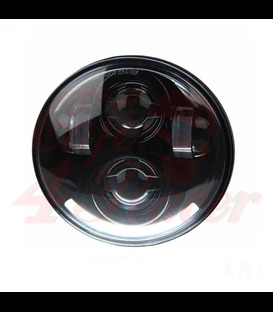 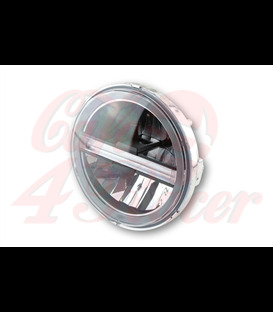 Inside a chromed reflector with a clear lens is equipped with high-beam, low-beam, parking light and daytime running light (DRL). 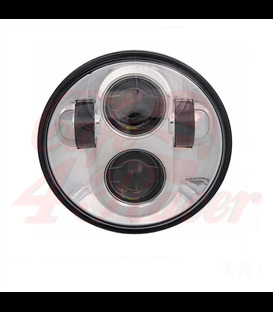 DRL and parking light are installed in a centre strip and ensure a great light image - low-beam emits above the strip, high-beam below. 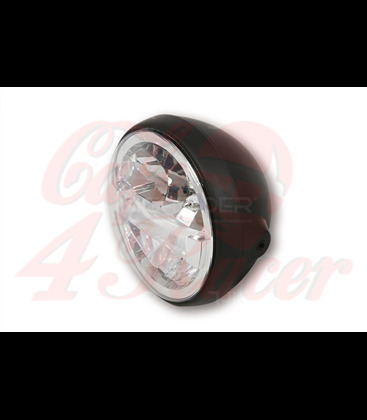 Reflector emits an asymmetric light flux - approved only for right-hand driving, E-marked. 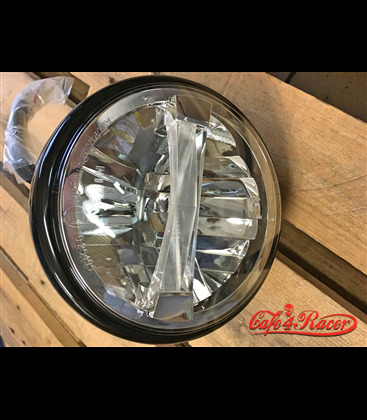 • Asymmetric reflector - approved only for right-hand driving.